WIN: Beat Sugar Addiction Now! The cutting-edge program that cures your type of sugar addiction and puts you on the road to feeling great – And losing weight! In January 2013 I made the big decision to go sugar-free. I had this strong intuitive feeling that sugar was not only damaging the skin under my eyes but that it was also causing erratic mood swings, depression and other health and hormonal issues. Back then I did a whole lot of research on how to go about giving up sugar, but I now realise since reading ‘Beat Sugar Now’, that it would have been far easier to simply buy the book. ‘Beat Sugar Now’ is a perfect guide for anyone wishing to give up sugar. We are surrounded by a sugar-filled society, where often if you refuse or decide not to take a piece of cake or chocolate offered to you, you are looked upon as strange. Since giving up sugar I think it is now strange to eat sugar (especially refined). This is a big change for a total sugar addict. Being a recovering sugar addict, I know how challenging it can be to give up sugar. Not just the initial craving phase, but the very thought of making it a life-long decision to do the opposite of what many people in the world are doing. To have had a guide on hand would have made my sugar detox far easier than it was. It is obvious after reading this book that the author knows what it is like to be a sugar addict. It takes you through the step-by-step process to quitting sugar with effortless ease. 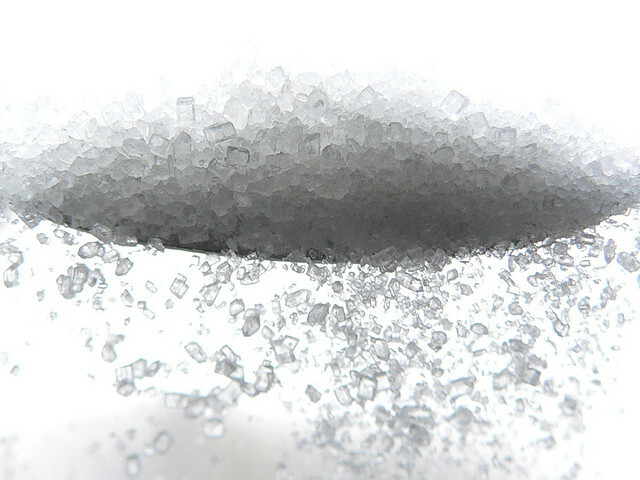 Unlike my own research, Jacob goes into more depth on why we are addicted to sugar. I did not realise that there are many different types of sugar addict, and you may be a sugar addict that is affected by more than simply the craving for that cake or chocolate. Jacob as a medical doctor gives a lot of support to the reader. He does not fill the book with jargon and so anyone can understand all about their own sugar addiction and how to make the changes. Unlike other diet programmes this is not a scary program where you will feel hungry or lacking. Each chapter takes you through your particular sugar addiction and how to release the need for sugar in your diet. Type 1: Addicted to caffeine and energy drinks containing caffeine – often exhausted. Type 2: Addicted to sugar because they have adrenal gland issues and tiredness. Type 3: Needing sugar regularly from morning to night – candida/yeast overgrowth. Type 4: Depressed and craving carbs – hormonal issues. After doing the short quizzes to find out what type of sugar addict I was, I discovered I was a combination of type 2, 3 and 4. My highest score in the type 4 and type 2. The guidance in the book has helped me immensely. As someone that experiences low blood pressure often, Jacob gave me a great tips on how to raise my blood pressure and to balance my adrenals. 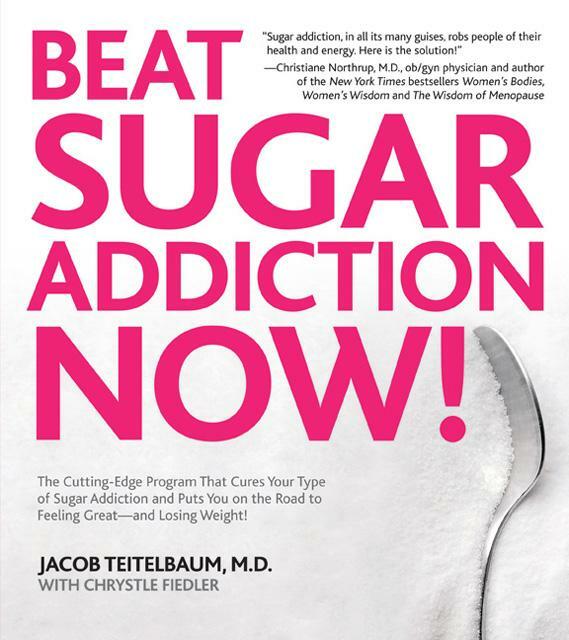 The description of each sugar addict was so informative to me and as the book went on it is split into chapters where you get brilliant advice on what to eat, how to eat, and any supplementation that may help your particular addiction. The book is separated into well organised sections and for each sugar addiction type a helpful bullet-pointed ‘Wellness Prescription’ is provided, which rounds up what is said within the chapter if you are wanting a quick overview after reading the book. I discovered new options for my own sugar addiction. It was good to finally understand the benefits of salt and licorice for my own sugar addiction type, which I have never considered before. It gives an easy-to-follow plan on how to beat sugar addiction in a way that I didn’t have when I tried to detox. Excellent news for anybody wanting to give up who has no idea where or how to begin. I loved the in-depth section at the back that helps the reader focus on specific health concerns like anxiety, depression, sinusitis, irritable bowel syndrome and more. And if you want a quick overview of what to eat once you have finished reading the book, there is a section on the GI of foods to help you eat the best foods possible for your sugar addiction type. Anyone struggling with weight issues that has tried every diet going and cannot sustain the diet and cannot lose the weight. People with anxiety, depression, fibromyalgia, chronic fatigue syndrome, sinusitis, hypothyroidism, heart disease, migraines, headaches. Easy to read, clear chapters. Very encouraging and supportive when giving up sugar. Not overly dramatic in its detox, so easy to sustain the change. Excellent for beginners wishing to detox, lose weight and experience a greater health balance. A great health plan for life. Fantastic dietary advice. Manageable eating plans. Helps you eat in a way that is more sustainable. Bullet-pointed overviews of each chapter, very descriptive and helpful in understanding specific health issues. Overall a program for lasting change. This book encourages a lot of supplementation as part of each sugar addiction. While excellent and worthwhile, it may be a challenge for those on a low budget but this could be remedied with wholesome nutritious-full food and diet. Post Disclaimer: I received ‘Beat Sugar Addiction!’ Now from Grantham Book Services. All opinions are my own. id like to stop because i want to lose more weight and i find im stugling! id love to try it! Just to feel better physically and mentally, and to help me navigate my way better through stresses. For years I have been telling people I have an addiction to sugar and they kind of just laughed at me. I'm so pleased that I'm not the only one and that this is a real legit problem I have. It is mainly chocolate that I struggle with, I'm crazy with it and I'm crazy without it. My anxiety and mood swings I 100% put down too it aswell and would love some help on stopping this! I've started my own detox and after being on it for 6 weeks, I went on holiday and ate lots of sugar again. The difference in my energy, my moods and my skin was so obvious. I've instantly gone back on the detox! I have had a hunch for a long time that sugar is the cause of health problems linked to both my son and I and I would love to have information to back up my hunches. I really need to lose some weight and sugar is my downfall. I would really like to reduce the amount of sugar in my diet. I really need to lose weight and feel I rely on sugar far to much in my life. I've cut down sugar and feel much better but I know I still have a lot to learn. The nutritional advice would be great. I've got to have some fillings so would like to look after my teeth. the be more healthy and to lose weight. Because I'm Type 1 Diabetic and I want to cut down more on sugary foods. I get very tired. Also crave sugar. I would love to give up sugar. I have been struggling with it my whole life and I know I have a problem because, as pathetic as this sounds, I get sad when I cant have it!! I know I need help and I think this book would be a great start! I actually am beginning to feel that I'm addicted to chocolate – the amount I eat is obscene and it seriously has to change. To lose weight – I eat far too much chocolate. I'd like to give up sugar because I have been seriously addicted for many years and believe it is linked to a lot of my problems including fatigue, weight gain, mood swings, anxiety etc. To help my teeth! Not keen on any more fillings. I want to resolve my addiction. I'm overweight and can't stand anymore craving sugar. To lose weight and stop being a carb-fiend!! I have a VERY sweet tooth! and would not like to give up sugar all together but to cut down would be great – and helpful towards my diet as well! I love sugar, but need to get it out of my life! I need to give up sugar for personal health reasons, it is so addictive and the cravings are awful sometimes. I need to quit sugar as I have rapidly been gaoning weight and overeating sweet food since starting a new medication last year. I believe it is linked to many of my health problems.